Only members in NON EUROPEAN COUNTRIES - ATEEME annual membership 2019. In the 'Download' tab below, you will find an 'ATEEME 2019' pdf file with all the information about the ATEEME Group and the membership / subscription options. Only members in EUROPE - ATEEME annual membership 2019. In the 'Download' tab below, you will find an 'ATEEME 2019' pdf file with all the information about the ATEEME Group and the membership / subscription options. 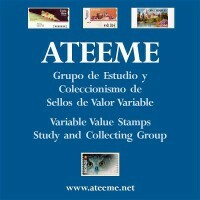 Only members in SPAIN - ATEEME annual membership 2019. In the 'Download' tab below, you will find an 'ATEEME 2019' pdf file with all the information about the ATEEME Group and the membership / subscription options.